Are you looking for USB thumb drive data recovery services? Thumb drives are still quite popular with millions of people owning them around the world. However, while thumb drives are robust, they are also subject to breakdowns which means that you will need a professional USB thumb drive recovery service to get the data retrieved. While it is recommended that you back up all your stored data, many people use thumb drives just for that purpose. Although the shape and size of the thumb drive has varied only a little since it went on the market, there are three basic types. 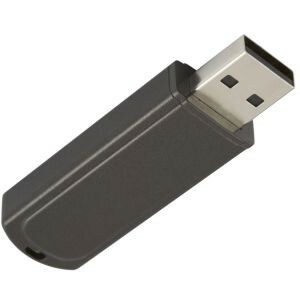 Standard TSOP-48: This is an older style of thumb or flash drive which is still common. All three drives or chips can have their data recovered depending on the corruption or physical damage that was inflicted. While many thumb drives are the subject of accidents from being dunked in water to bent or dented when dropped or struck, there are times when a breakdown is predictable. Here are just a few signs you should look for that might indicate your USB thumb drive may need data recovery. When these signs occur, you should take your thumb drive to the reputable professional data recovery service as soon as possible. While your drive may continue to function, if it’s showing any of these signs, it will likely breakdown soon. If you can, you may try to transfer the data from your thumb drive to a computer or laptop before it crashes. Otherwise, it’s best to unplug it from your computer or device and take it to a recovery service that is experienced in recovering data from thumb drives. Although thumb drives can crash for several reasons there are two main ways that they can become compromised and not let you retrieve the data yourself. Failed Controller Chip: Most thumb drives that crash do so because their controller chip is physically damaged or compromised in such a way that it is not responsive. A data recovery team will remove the chip and place it inside a special reader so that the information can be saved. Broken Stem: This is physical damage to the stem due to an impact that will not allow it to properly connect to your laptop, computer, or device. The stem will have to be repaired so the information can be retrieved. However, if it is a monolithic drive and the damage has been done, then USB thumb drive data recovery may not be possible. If you suspect that your thumb drive may be compromised, damaged, or ready to crash, your first move should be to take it to a reputable USB thumb drive data recovery company. They can identify the issue and retrieve the data so that it can be saved.